Archie Panjabi is heading to BROOKLYN NINE-NINE. 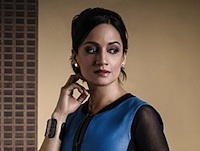 Arep for the show has confirmed that Panjabi will guest star in the second episode of the upcoming third season. BROOKLYN NINE-NINE returns Sunday, September 27th at 8:30 PM on Fox.